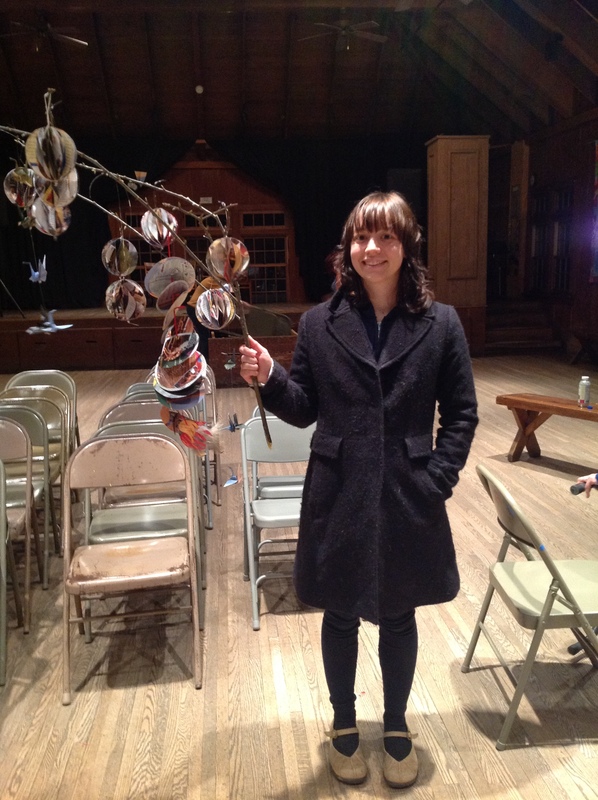 Charlotte calls a contra dance in the Community Room. CP: How long have you been calling at the Folk School? CC: I came to the Folk School as a Work/Study in the winter of 2006 and I took Bob Dalsemer’s Dance Callers’ Workshop that summer. So technically I’ve been calling since 2006, but I wasn’t calling regularly ’till a little time after that. CP: Why did you get into dance calling? CC: I’d been a contra dancer for a long time. When I was in elementary, high school and college I was involved in other kinds of dance, so I’ve always had a history of being interested in dancing. I wanted to be a provider of the activity as opposed to just a consumer. Recognizing that my skills as a musician might be a little lacking (laughs), I embraced calling as the next fun way I could be able to do that. 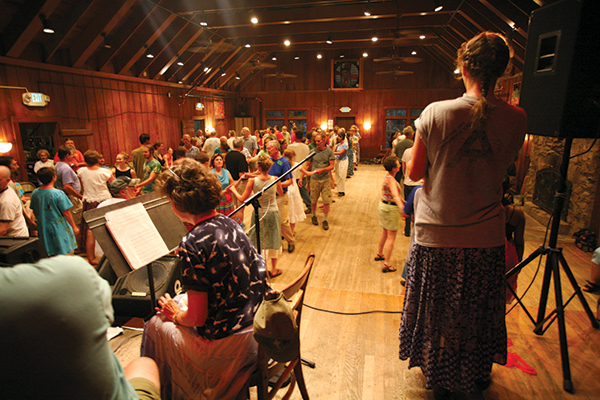 CP: What’s the best thing about calling a dance at the Folk School? CC: What a good question! 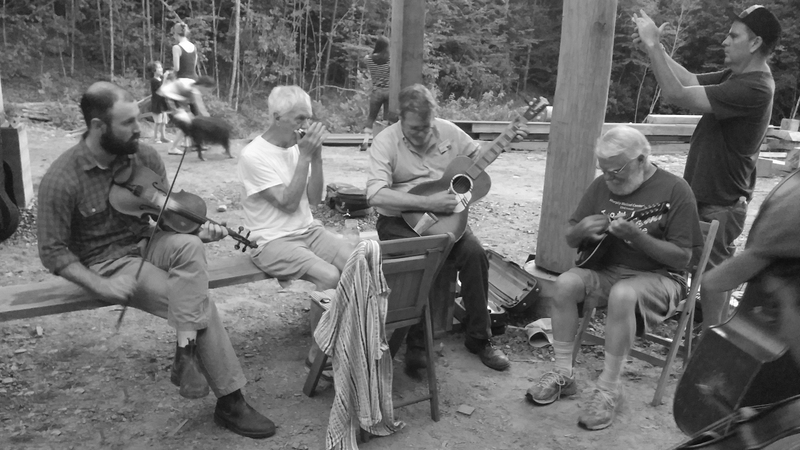 I’d say the dance community at the Folk School is one of the best for integrating all kinds of different folks. People who have been dancing for years and years and years are dancing on the same floor as those who have never ever done it before. Little kids all the way up to folks in their 70s and 80s – all on the same dance floor and everyone’s having a great time, enjoying each other’s company. That’s the best part! CP: Do you have a favorite tune? CC: I really like the old time tune called Growling & Grumbling, which I love as a dance tune. It got this great low, mumbly beginning and then it busts into this fun, upbeat tune. CP: Is that the same tune as Growling Old Man and Grumbling Old Woman? CC: Yep! That’s the one! It a great tune. CP: Where do you get your dances from? CC: Oh goodness! Lots of sources. Primarily (and I’d say traditionally) from other callers, but also from going to other dances. I’ll go to a dance and enjoy something that I just danced, run over to the side and write it down real quick. So I collect dances from dancing. I collect dances from other callers. And in our modern day & age, the internet is a wonderful place, not only to collect dances right off the web, but also to find literature from different places. 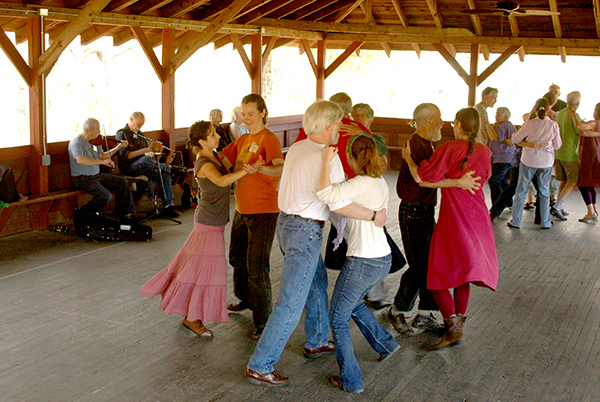 I use the Country Dance & Song Society which is an organization up in Massachusetts that promotes folk dance and music. I peruse their bookstore pretty frequently. They are a great resource for all things dance. CP: So you’ve called over 20 dances in the region just this year. That’s impressive! Do dances in different cities have very different flavors or feelings? Where are some of your favorite places to call? CC: Dances in different cities absolutely have different feelings and flavors. Once I’ve gone to a dance (either to dance or to call) I get an idea of what that community is generally doing and try to tweak my programming to fit whatever that community tends to like. Some communities love square dances, so if I’m going to one of those, I will throw in some squares in a contra dance evening. Other commmunities want really new, unique, complicated moves and dances, and I can try to accommodate that. So yes, different communities definitely do have different feels. I love calling at River Falls Lodge which is in the northwest corner of South Carolina. For me, it’s all about the venue. It’s in the middle of this very rural area in SC and it’s a cool rustic building with an open-air pavilion feel with lots of neat décor and knick-knacks – it just has a lot of character and great ambiance! I love calling there. CP: What is your dream gig? You know, I’m not going to be super specific because that’s not what it’s about… any given night may have been a dream gig. It’s mostly about the feeling that everyone has when they walk out the door. It’s a dream gig if everyone at the end of the night was like: “Wow! That was wonderful! I can’t wait to do that again!” I’ve had nights like that and that’s a dream gig! CP: So that is how you would measure a successful dance? CC: That’s a successful dance and it can be with any kind of band, any kinda of crowd, and any sort of dances… it’s all about the feeling of the group being good when we are done dancing. CP: How can a person learn to be a great dancer? CC: Dance! Dance a ton – dance as many opportunities as you can get. Find your local community dance and go every time whether is be weekly, monthly – however often they are doing it. Do different kinds of dancing. If you want to be a contra dancer, go do some clogging. Do some ballroom dancing as well. The wider variety and more dancing that you do, the easier other kinds of dancing become. Listen to lots of the kind of music you that want to dance to. 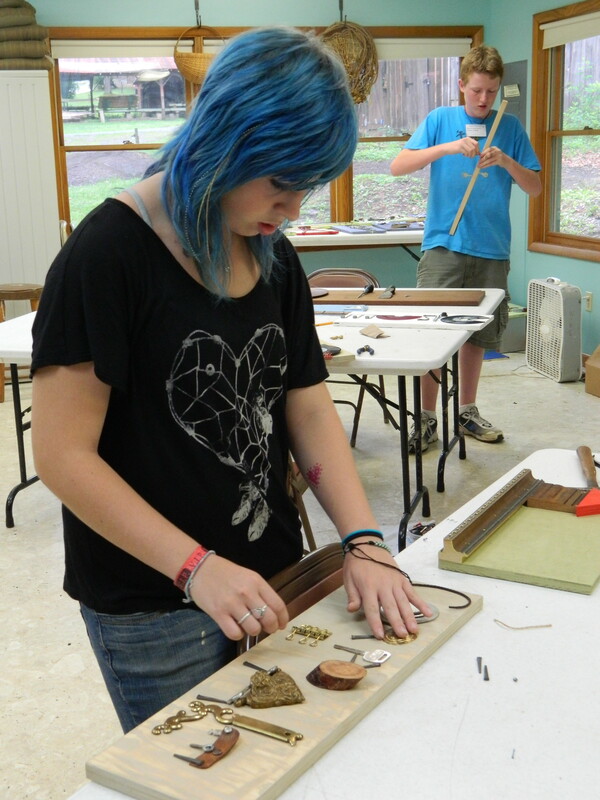 The Folk School is a great resource! There’s lots of beginner level dance classes and a free Tuesday night beginner dance from 7-8 p.m. in the Community Room. The Folk School continuously tries to introduce different styles of dance in their programming. I’ve taken an Irish Set Dancing class and I’ve never done it any other time or any other place except the Folk School. I loved it, had a great time and even though I’ve never done it anywhere else, doing Irish Set dancing helps me in all my other styles of dance. Taking different styles exposes you to different ways to understand dance. Irish Set Dancing class takes advantage of a lovely afternoon and hits the Open House dance floor in 2013. CP: Is there any dance floor etiquette that you are a stickler for? CC: One of my favorite dance instructors is Matthew Duveneck. He comes here often for Winter Dance Week and one of the best things I learned from him was that a dance should be an invitation. So as a dancer on the dance floor your hope is to invite your partner, your neighbor, every other dancer on the floor to be included in what you are doing. If your invitation is declined… let’s say for a twirl, well then that’s ok. Invitations can be declined and as a fellow dancer your job is to take that with grace and move on. Don’t get too wrapped up in the details. If something isn’t just perfect, it’s really ok. Just move on, keep smiling and have a good time. The dance being perfect should not be the priority over people having a good time. CP: You’ve been a volunteer at Winter Dance Week (WDW) for a while and this year you are on the teaching roster. What do you like about WDW? CC: I love that WDW is this weeklong music and dance party. By the end of the week, you’ve been around the other students and instructors and hopefully get to know their faces and names. You have a very community feeling, and not just with the other students, because in the evening there are community dances that local folks come to as well. A lot of folks that come for WDW get to meet, dance with, and become friends with the local dance and music community. Another great thing that I love about WDW is how varied it is: there’s American dancing, English dancing, jam sessions, singing, Morris dancing of all kinds, rapper sword, clogging – it’s always getting changed up a little bit, yet your old favorites keep coming back year after year. It’s just great. CP: What are your other favorite music and dance classes at the FS? CC: Again, Irish Set Dancing class is very high energy and the music is incredible. I have a lot of fun at Irish Set Dancing. 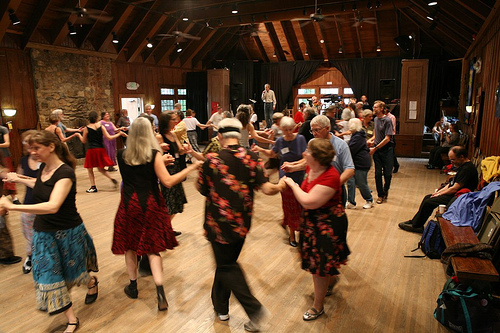 CP: If you were a contra dance move what move would you be? CC: Hmmm… (thinking) I would be “Long Lines, Forward & Back” and the reason is because everyone gets to dance together. You feel very connected to the music while you are doing that move and you are also very connected to everyone else. That’s my pick! CP: Any advice to budding callers? CC: That’s a good question. The most important thing you can do as a budding caller is dance and listen to music A LOT – all the time. Listen in the car, go to as many dances as you can, in the kitchen, on your IPOD, sing in the shower – as much as possible. CC: You know I’m going to plug 3 things. Play for a dance during Dance Musicians’ Week. 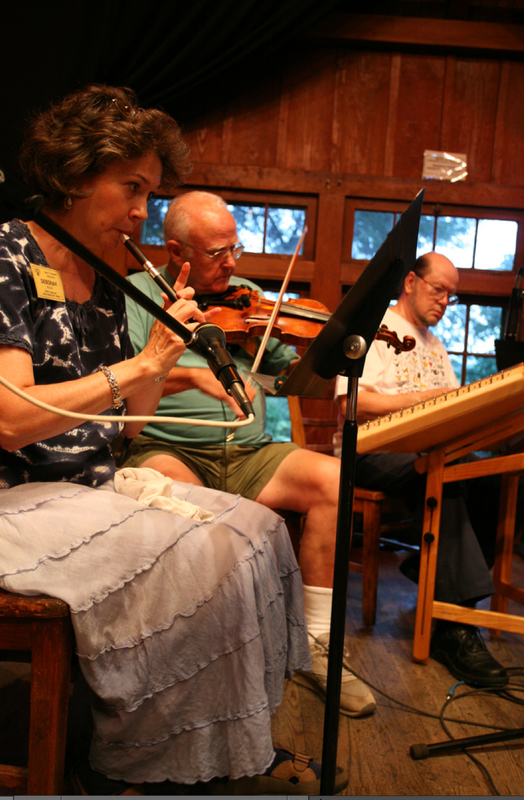 Two of them are classes at the Folk School: Dance Musicians’ Week (DMW) and Dance Callers’ Workshop. The thing that is very useful about both of those classes is that every evening there is a real live community dance and the students in the class are the show. In Dance Callers’ Workshop, as a caller, every evening you get to call a couple of dances to a real live crowd. Same thing with DMW, you get lots and lots of time with a real dance experience. Live dance experience is very valuable as far as building your skills for calling or playing for dances. The other thing I am going to plug is the Jonesborough, TN dance community which has gone from 0 to 60 in just a few short years. The things that are going on up there I am continually impressed with. The man who is making that all happen (his name is David Wiley) is just a mover and a shaker and getting this wonderful lovely dance community really rocking up there. CP: What’s going on this Saturday? 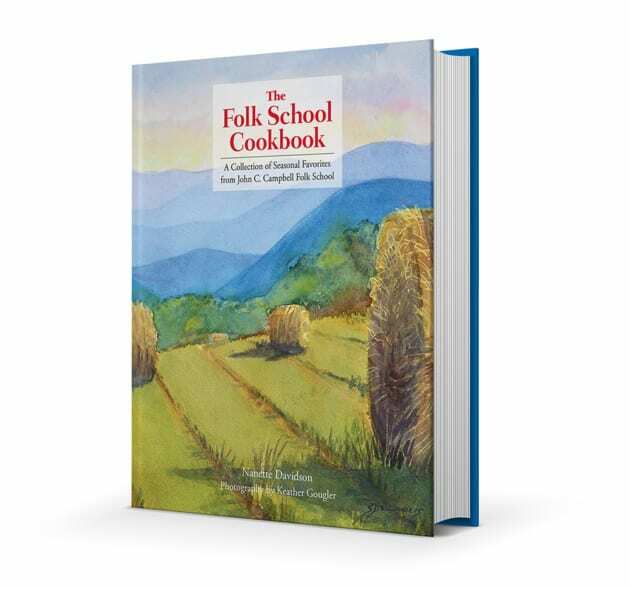 CC: I am calling a dance this Saturday at the Folk School with the band Blue Eyed Girl. 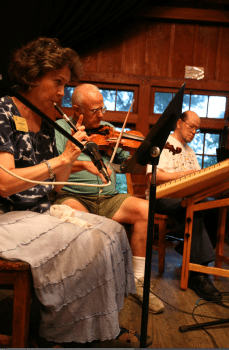 The band is made up of Annie Fain Barralon (who is the Music & Dance Director at the Folk School) on banjo & banjo uke, Pearl Shirley on fiddle, Laurel Willoughby on upright bass and Geraud Barralon on guitar. Come out and listen and dance because it’s gonna be fabulous. Everything’s a dance… different kinds of dance… but it’s all a dance. PreviousWhich Whey is Cheese Making Class? This is Kelly Macklin. 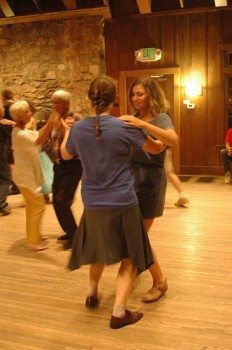 I am a contra dancer in Charleston, SC, and it looks like you are the caller on Friday. I am in the process of learning to call dances. Would you be willing to read over my walk throughs and give me comments? Meet before the dance and let me ask you questions? Dinner before the dance included. Let me know. Hi Kelly, I forwarded your comment and email address to Charlotte today. Thanks and good luck with learning to call! 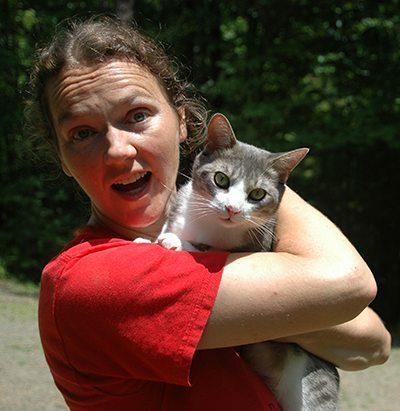 I’ve known Charlotte since she was a stone mason & part of the Table Rock trail crew. It is an honer to be called a friend of hers. Yay Charlotte! 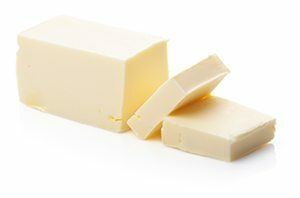 Butter, Charlie, and Contra will always make me think of her! I love dancing when Charlotte calls (‘cept that one night with the sound ish and the… you know what I’m talkin’ bout.) Keep up the great work!